Green tea is known as one of the most common and the most therapeutic beverages on earth. This tea originates from China and it is extremely popular in Japan and other nations of the Far East. Many people love and drink green tea very much, and some actually hate it. It is considered one of the richest natural sources of antioxidants that have numerous benefits on our body and health. Also, studies have shown that green tea can assist in preventing many types of cancer (including colon and stomach cancer), assist toxin removal from our body, improve our cardiovascular activity, and so on. Besides, for many centuries this natural remedy was used to treat such common problem as allopecia, and green tea for hair loss plays a very special role among natural treatments for this problem. Most of the herbal remedies and natural solutions act as blood circulation stimulants, so they should be applied topically (mainly to the scalp) in order to improve blood flow and nourish hair follicles, thus, stimulate hair growth. Some other natural remedies act directly as sources of useful minerals, vitamins or other nutrients, so they can be used hair rinses and also promote hair strengthening and growth. However, green tea for hair loss has another type of effects. It was found out that this natural product can influence hormone production and circulation in the body. 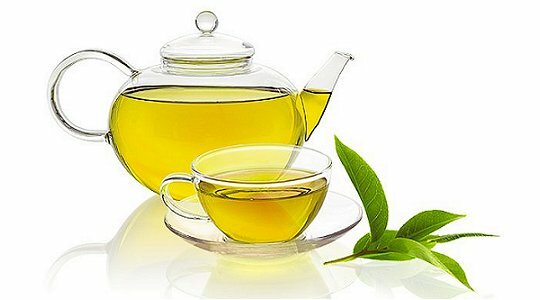 In particular, green tea can be used as a natural DHT inhibitor and slow down production of DHT hormone which causes hair loss in men and women. According to the findings of a study carried out by a group of experts at Drew University of Medicine and Science, green tea had amazing effects on stopping hair loss in rodents. “There is abundant evidence that polyphenolic sub-stances are considered as anti-inflammatory and have stress inhibitory characteristics, and there is evidence that stress inhibits hair growth,” the report said. Besides, there is one more very important aspect of green tea activities as a natural hair loss treatment. It is a known fact that stresses and their negative effects on our body can play a role of a cause of hair loss. This factor actually is among the leading causes of hair loss in modern women. It was found out that a regular green tea consumption is closely linked to better stress management and less effects of stresses. This way using green tea for hair loss can help everyone prevent and treat this embarrassing problem in a 100 per cent safe and natural way.